A stand out band at the recent Bay of Islands Jazz and Blues Festival, Hamilton Jazz Society are proud to present, Out Of The Blues, in concert. Out of the Blues are New Zealand’s proponents of Nu-Blues, an updated, re-worked version of traditional Blues. Four highly accomplished musicians from around the globe perform re-engineered classics for the modern audiences, while paying full respect to the rich traditions of the genre. 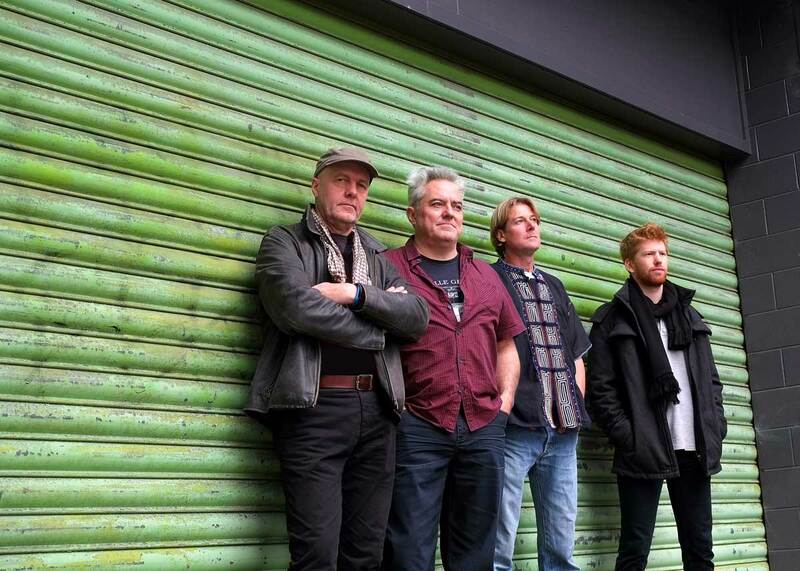 Out of the Blues are fronted by Kiwi singer and harmonica player Haggis Maguiness. Equally proficient on both diatonic and chromatic harps, his raw musical talent, grit, and holistic approach to music – drawing influence in genres from jazz and funk to blues, soul and rock – have earned Haggis his deserved reputation as an improvisational pioneer and true master of his instrument. Polish-English guitarist, Maciek, adds the melodic edge to the band with hints of jazz and funk and according to the Waikato Times delivers “a virtuoso and musically informed lesson in guitar”. A talented Uruguayan bass player, Carlos Pla, underpins Out of the Blues sound with stunning technique and danceable Latin grooves. Massey Auckland Jazz School graduate drummer Andrew Hewitt motors the line-up with his subtle, powerful and highly accomplished grooves. Do join us for a great afternoon of music - it's a really nice, relaxing way to finish the weekend. Dinner, snacks and drinks are available for purchase from the kitchen.